Auburn University, a large comprehensive university specializing in STEM areas in the small city of Auburn in Alabama of the southeastern USA may well appeal to students from India both for its international student friendly culture, affordability and academic reputation. According to university’s Associate Provost Dr Emmett Winn who recently toured south Asia and travelled to a couple of Indian cities including Delhi to raise awareness about his university among prospective students from this part of the globe, AU is ready to welcome many more students from India. 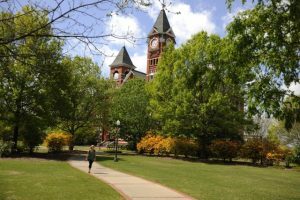 “Auburn is an ideal choice for Indian students given its top-tier academics, breadth of degree offerings, and inclusive environment. 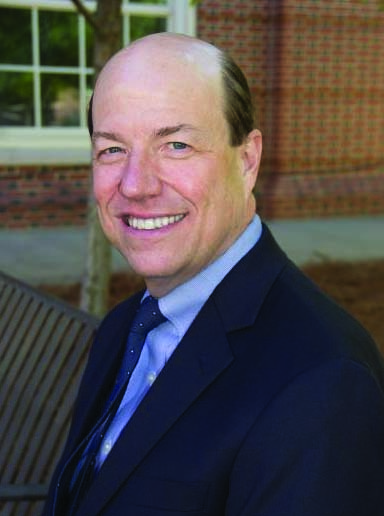 I’m confident each student can find their place at Auburn,’’ Dr Winn added. Established in 1856, the university has a long history of academic excellence. Coming in among U.S. News & World Report’s top 50 public schools for the past 25 consecutive years and offering more than 140 undergraduate majors in an environment that students say feels `just like family’ are merely a few of the attributes that have made choosing Auburn University easy for more than 233,000 alumni, including the CEO of Apple, NASA astronauts and many business and thought leaders. Currently more than 250 Indian students are studying in the university. “We have an organization of Indian students in the university. Our student services range from airport pickups to providing accommodation and acclimatization to university culture besides arranging for banking and other services. The 1: 19 faculty student ratio and small population of the town makes student interactions easy and friendly over no time. One more important thing about us is the Auburn Global program wherein international students are allowed a one-year stay in the university to complete four-academic credits before joining the course,” he said. The fee inclusive of boarding is in the range of $ 40-45000 per annum. The optional practical training allows international students to stay and work in in US upto 12 months.